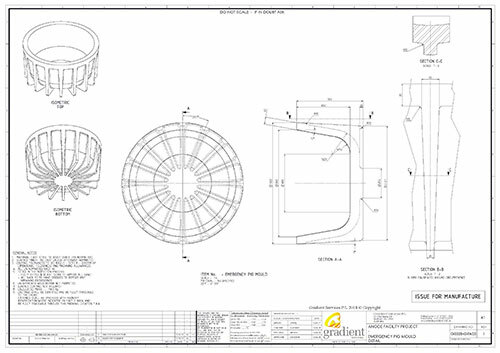 Gradient Services work with customers to design and engineer on a wide range of projects from the supply of new products to the arrangement of production facilities. 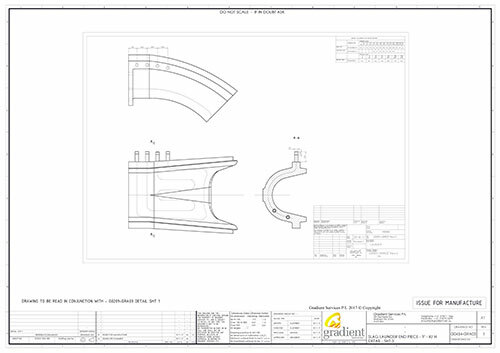 With our expertise in manufacturing Gradient take a designed for manufacture approach which aims at offering customers cheaper components with no reduction in performance when in operation. Gradient Services also specialise in reverse engineering components that are no longer obtainable or are operating under changed conditions. Clients often contact Gradient seeking assistance to reduce their consumables costs, as we reverse engineer components for longer life or reduced cost.